Pre-trimmed, belled and crimped for fast and easy placement. Accurately duplicates anatomy for better fit and performance. Superior longevity compared to multi-surface amalgam fillings. Permanent molar selection can be used for long-term cases with economic considerations. 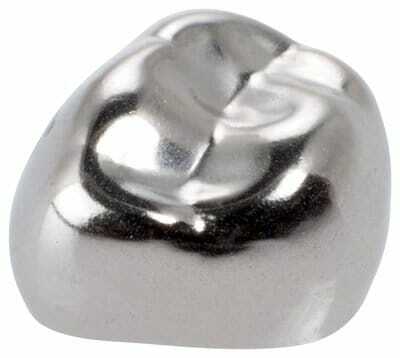 These prefabricated stainless steel crowns are manufactured with life-like height, contour and occlusal surface. They are pre-crimped at the cervical margin for fast and easy placement. 3M™ ESPE™ Stainless Steel Primary Molar Crowns is rated 5.0 out of 5 by 3. Rated 5 out of 5 by Cetahm from Dude Where can I find the composition of the Stainless Steel Crowns? Rated 5 out of 5 by Anonymous from it's great I believe it's the best, and so are all the 3M products in their categories .